There's no end in sight when it comes to tension between Egyptian leaders and the Muslim Brotherhood. The standoff between the newly-installed Egyptian government and supporters of ousted former president, Mohammed Morsi will continue without interruption for at least one more day. On Monday, the Egyptian government once again postponed plans to disperse camps of Morsi supporters set up throughout Cairo. 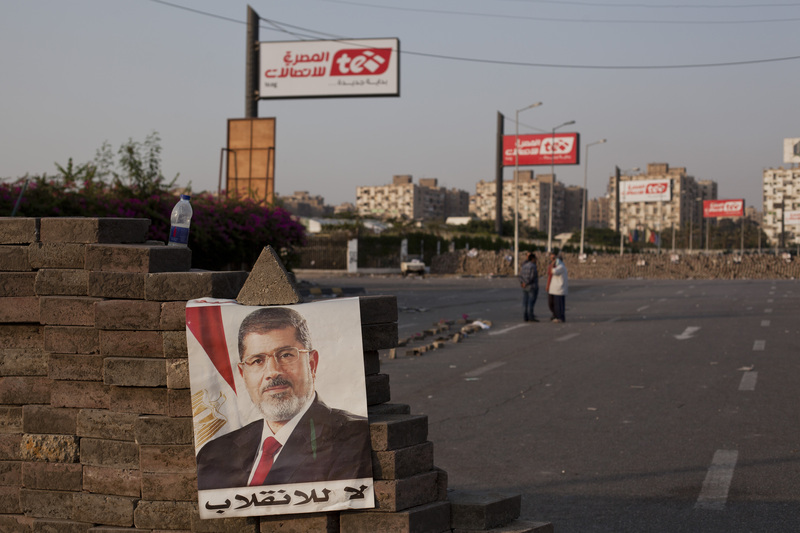 Tens of thousands of people have gathered to participate in the sit ins to protest the ousting of Morsi in a July 3 coup. After attempts at diplomacy between the Egyptian government and the Muslim Brotherhood failed last week, it seemed that clashes between government security and protestors were once again imminent as both groups refused to find any common ground that would help end the ongoing upheaval. The government's plan was to encircle the protestors camps, cutting off supplies of basic necessities like food and water. Police planned to block all entrances, leaving one exit open, so protestors could peacefully leave. For those who remained, police would begin to escalate their strategy to push them out, using non lethal forces like tear gas and water cannons. The Egyptian government hoped to start the siege as early as sunrise on Monday, but after the strategy was leaked to the media, an Egyptian security official says that the plan has been put on hold to "avoid bloodshed."